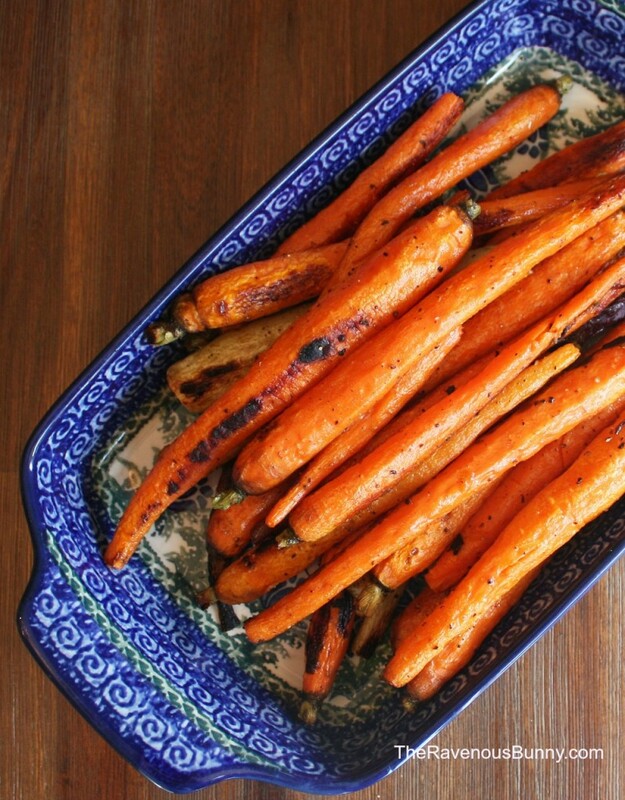 This is such a simple side dish. I love simple. 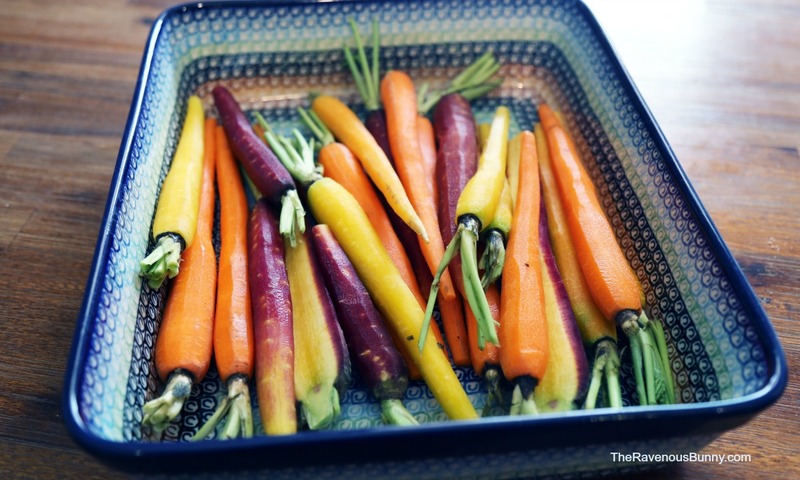 It doesn’t really matter if you want to cut your carrots into small pieces or leave them mostly whole with a little bit of the tops, they cook the same. They will be finished cooking in about an hour but I leave them in another fifteen minutes. 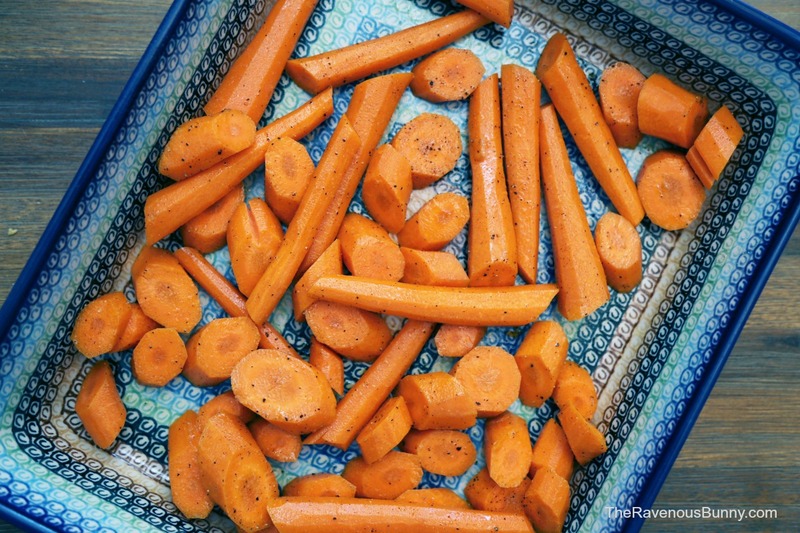 This causes them to shrivel a bit and the sugars concentrate so what you end up with is a perfectly seasoned but slightly sweet carrot. Always cook more than you think you need because they do shrink in size. 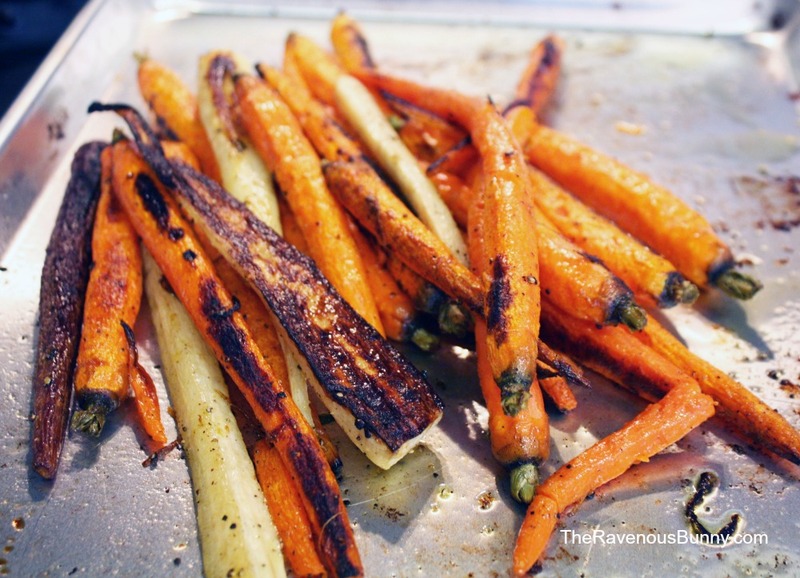 I use at least two pounds of carrots for our family of four and that is only if I do not want any leftovers. Because everyone’s oven cooks a little bit different make sure to give these a taste at the hour and fifteen mark. If you think they should be in a bit longer, by all means leave them in. You want to see them shrink up a bit. That’s when the magic happens. I’ve included several different pictures on this post because we make this side dish often and they look different each time.